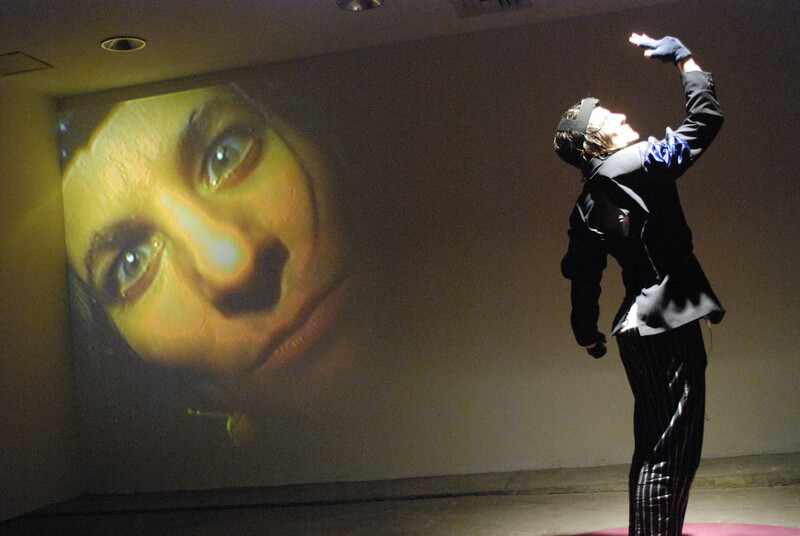 This version of DAGGER took over the abandoned bank at 15 Nassau St. in Manhattan’s Wall St. area, bringing the outside in and incorporating the emptied bank space into the performance. Watchers became watched, and the traveling viewers were kept on their toes by video ghosts and an eerie soundtrack. In an atmosphere of menace, pulled by the seductions of authority, the character is very close to the audience in person and on screen. The piece created an intimate multi-media spectacle that sought to reveal the states of being that lie behind the various masks of physical and temporal power. Throughout the performance, the character struggles with morality and honor while contemplating murder for profit, and Shakespeare’s text serves as a jumping-off place for a meditation on the uses of language to distort perception. 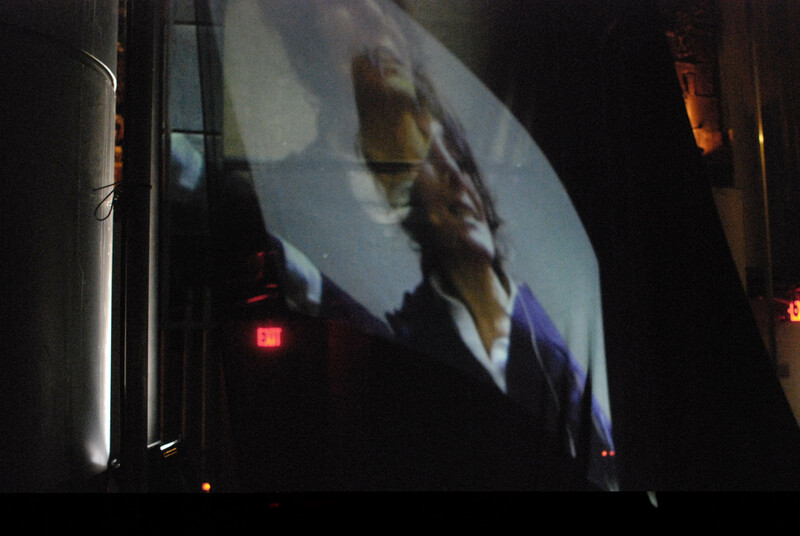 The video is cued to the beginning of the piece, where I begin the piece outside the space, projected via wireless camera inside, then enter into a hidden room furnished as a combination of talk show and waiting room, again visible to the audience only on video. I finally appear live in a far corner, where the “handle” I reach for is the door to the lobby of the surreally opulent 120 Broadway Lobby. When the audience enters the space, they are in a small space with a low ceiling and the rest of the space is completely obscured by drapes of white cloth. The cloth is later ripped down to reveal the cavernous, 2-story room.